Calling all Freelancers! Who isn’t worried about their waistline these days? I know we all love the freedom of working at home, but that also means that we’re sitting at our computers most of the day and it’s a very short walk to grab a snack from the cabinet. I want to run you through some Freelancer-friendly, no-hassle diet and fat loss tips that could make a huge difference in your waistline and wallet. This is the foundation of diet and fat loss, and it pretty self-explanatory. If you don’t shell out the money, you can’t stick it in your mouth. If the food never gets to your cabinet how are you supposed to eat it? Exactly. Have you ever been to an Ikea? Their store layout manager is an absolute genius! You need to walk through every single display, see every single item and trinket that ‘you don’t need’ to be able to buy the three things you actually came for. 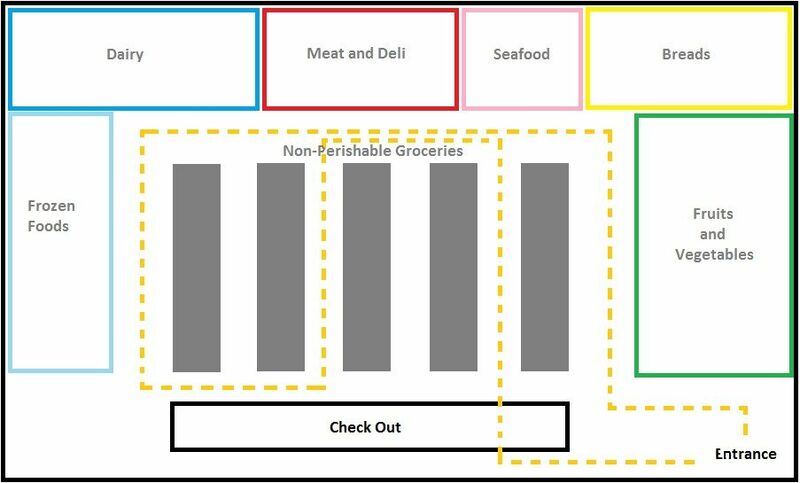 Grocery stores actually have a similar layout as well. All of the ‘real’ and whole foods are on the outside. To see all of them, you’ll have to walk by the chip, candy, ice cream, and snack aisles along the way. Ingenious! If you can, stick to the outside of the store. 99% of the food in the middle isn’t good for you. Even though it says keywords like ‘high in fiber,’ ‘fat-free’, etc. Being tired lowers you self-awareness and self-discipline. This obviously makes it easier to overeat and make bad food choices. However, if you’ve followed Steps 1 through 3, then what you eat should be Real Food, and it won’t cause too much harm. Plus, no one likes to deal with cranky freelancers. 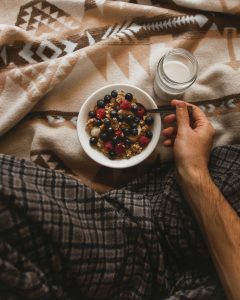 Note* if you eat whole oats (that you have to cook, without adding anything) with berries or a banana and black coffee for breakfast, by all means, keep going, and you’re awesome! I have, and love, Intermittent Fasting. 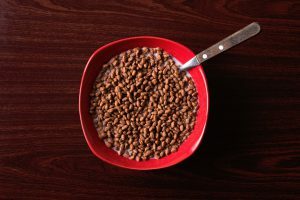 If you’re not sure what that is and want some more info check out my article: Easy Diet: no-brainer weight management. It runs through how I maintain weight without stressing over complicating it. Water is life. If you’re not drinking it, start. It should be the staple of your diet and fat loss routine. The crazy number of things that water can do for you is incredible: prevent headaches, improve digestion, give you energy, improves productivity, relieves congestion and all in all aids your body in working how it should. Also, having a glass before meals make it much less likely for you to overeat. There’s only so much space inside you, filling it with water means there’s less room for other things. This one is painful for me. I love my glass of wine (ok, two) after I finish up work for the day. It’s something of a ritual for me, but I know those extra 200 empty calories a day aren’t doing me any favors. Obviously, wine isn’t the only culprit here either, and quite a bit less harmful when compared to beer, liquor, and soft drinks. I’ll just leave this picture here to let it sink in. Whether will-power is finite or not, as I discussed in my article: Easy Diet: no-brainer weight management there’s one thing for sure: It’s always easier if there’s no choice to make. Imagine, it’s 5:30 PM on a Thursday, you had a crap day at work, and all you want is just to sit and forget about the world. What do you reach for dinner? A nice home-made wok with fresh vegetables and couscous? Probably not. Insert, microwave dinners or pizza-delivery guy. Making a plan, even preparing meals beforehand, will save you time, calories, stress, feeling bad about yourself, among many other things. This one should go without saying, but I feel it happens way too often. You’re hungry, there’s nothing to eat at home, so you head to the store. Obviously, bad decisions insue, you get home with your bag full of “food” and proceed to eat everything inside it. This is all it takes to stop bad decisions before they start. So, how about, we avoid this altogether. If you’ve followed the first 8 steps you will have some real food at home. An apple, an orange, a hand-full of nuts, a glass of milk, water, anything so you don’t go to the store on an empty stomach. Last but not least, don’t be afraid of fats. Fats have gotten a bad rap because it was easy for food companies and lobbyists to link the fats in foods to the fats in humans. Voila: companies now come out with a whole new line of low-fat and fat-free foods boosting their bottom line. Fats don’t make fat. 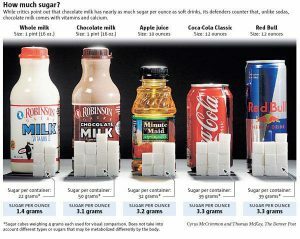 Sugar makes fat. When your body digests things quickly, it releases fat making hormones. No ‘real food’ that is on the outside of the grocery store, and doesn’t have a list of ingredients will make you fat. Ever. Natural foods have been created through millions and billions of years of evolution. When humans started meddling with them, that’s when things got complicated. 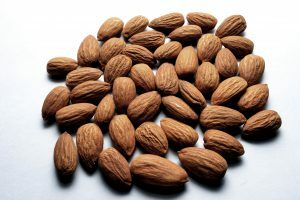 You’ll never eat enough almonds to make you fat. It’ll be ok. The fact that you’ve made it this far means that you’re either interested in or are trying to work on your diet and fat loss. I applaud you for this because it’s a huge first step. I’ve decided to include tips that take little to no time to accomplish. I think the only one that does take time to complete is step 8. If you think about it, planning out your meals on a Sunday will save you all the time you deliberate on what you should eat, and so you can go to the store once and buy everything you need. Thus, saving you a bunch of time. Anyways, I hope these tips can help you lead a healthier life, with less stress and maybe a smaller pant size. Remember, you didn’t put that weight on in a day, or a month or even six months. It’s going to take just as long, if not longer, to lose it. Stay the course! Are there any no-hassle diet and fat loss tips you’ve heard that you’d like to share? Please leave them in the comments below.